Using an instrument many have owned but few have mastered, urban jazz harmonicist, Frédéric Yonnet’s musical skills and stage presence crush every preconceived notion you’ve ever had about the harmonica. 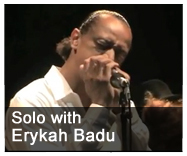 Regarded for decades as the choice instrument of street musicians and loners who wanted to express themselves through country music or the blues, in Yonnet’s hands the harmonica becomes something altogether different; a lead voice in urban jazz, R&B and hip-hop. With each performance, stereotypical walls come tumbling down as Yonnet presents the harmonica in a refreshing and modern context that is boldly stylish, enchantingly cool and absorbingly brilliant. 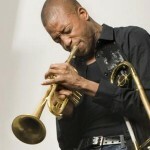 His impressive style has led to performances, tours and recordings with some of the heaviest hitters in the music business including the legendary Stevie Wonder, the iconic Prince, award-winning songwriter David Foster, game-changing instrumentalist Kenny G, American Idol’s Randy Jackson and R&B artists Erykah Badu, Wyclef, India.Arie, Anthony Hamilton and John Legend. 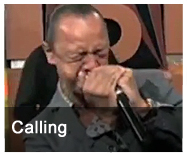 Rolling Stone magazine referred to Yonnet as “Prince’s killer harmonica player” and praise from comedian Dave Chappelle, contemporary jazzman Bob James, songstress Patti Austin and producer Pharrell Williams have affirmed his mission to change the way the music industry, musicians and enthusiasts regard the pocket-size reed instrument. These days, the U.S.-based Yonnet travels with pedal boards, mixers, amps, microphones and more than 50 diatonic harmonicas. “I’m pretty intense on the harmonica and I like to have the ‘sharpest ax’ at all times.” To be sure, he’s not afraid to wield it. There aren’t many musicians who would go tête-à-tête with Stevie Wonder on the harmonica, but Yonnet has proved himself more than capable. 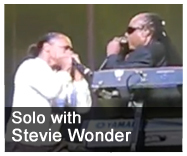 “Frédéric Yonnet — a Wonder disciple — had a crazy harmonica duel that almost sent Stevie flying off the stage in a frenzy,” said Fox News following their performance at Madison Square Garden. Without a doubt, Yonnet’s friendship with Wonder has been his biggest musical inspiration. At the same show in 2007, Prince first witnessed Yonnet’s expert musicianship, exhilarating panache and inexhaustible stage presence. It would be months before their paths crossed again, but when they did, Prince seized the opportunity to have Yonnet jam with him and his band at a house party. 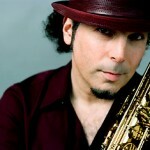 “Genius recognizes genius,” said saxophonist Mike Phillips, who performed with them that night and witnessed the energy that Yonnet brought to the band. 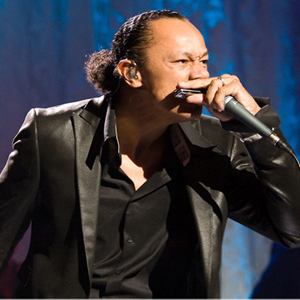 Since then, Yonnet has recorded with Prince and performed with him as a featured guest at numerous shows, including The Tonight Show with Jay Leno and on Prince’s 20Ten European tour. 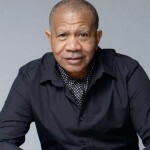 While Yonnet enjoys the excitement of performing with some of the world’s greatest music legends, he knows that it’s the technical mastery of his instrument — along with innovative collaborations and solo projects — that will earn him recognition as one of the greatest harmonica players in the world.